Handling reactions from the outside world differs between patients who display baldness or wear a wig or head covering. Patients who leave the house bald report having no problems in interacting with others. Patients who always wear a wig get few reactions from the outside world. The reactions are often positive: about how nice the wig looks or about who the stylist is because their hair looks so nice. Patients who wear a head covering get various reactions from those around them. Patients report that they regularly showed the baldness under the wig or head covering to family, friends or children who wanted to see it. Others said that their parents, brothers and sisters specifically did not want to see the baldness. They report about (grand)children who became accustomed to it quickly, but also children who could not become accustomed to it and continued to have difficulty with the baldness. There are also ‘surprisingly positive’ reactions from colleagues. The reactions from strangers are experienced as the most unpleasant. The recommendation is to inform those close to you about your possible baldness and to be open about it. 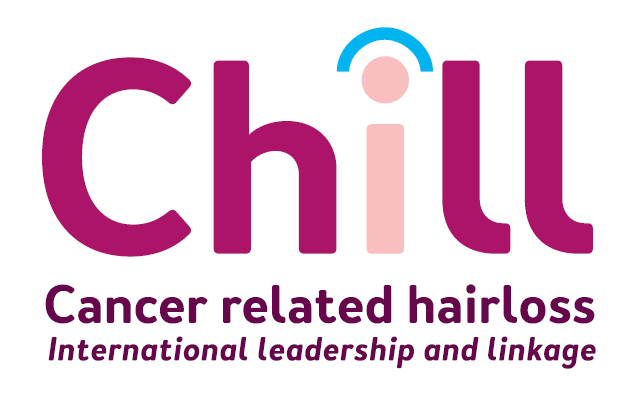 Ask children if needed whether they would like you to wear your wig or a head covering for certain activities: if you go outside, but also, for example, if you have someone visit.